Choosing a word this year was tough. We are about to embark on some changes in our lives, and taking into account those plans & dreams, I ended up with over 50 candidate words. I want a word to inspire me, a theme that supports my life but doesn't limit it. It's good if it has multiple meanings. Tod suggested explore and it beat out unfold, enjoy and make. 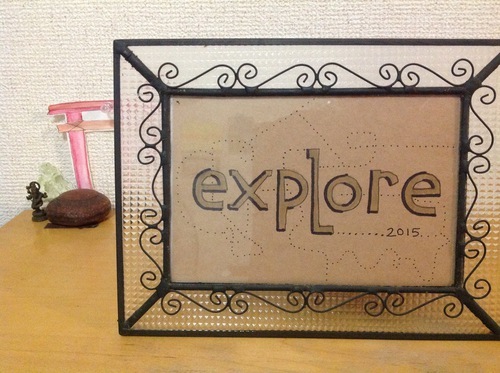 Explore is the right word, even though it has limited definitions. I will explore every aspect of my environment, my talents and skills, and my inner self, too. I will spend my year journeying, researching, seeking, delving, trying, travelling, examining, scouting. And at the end of it, I am going to have one terrific map.